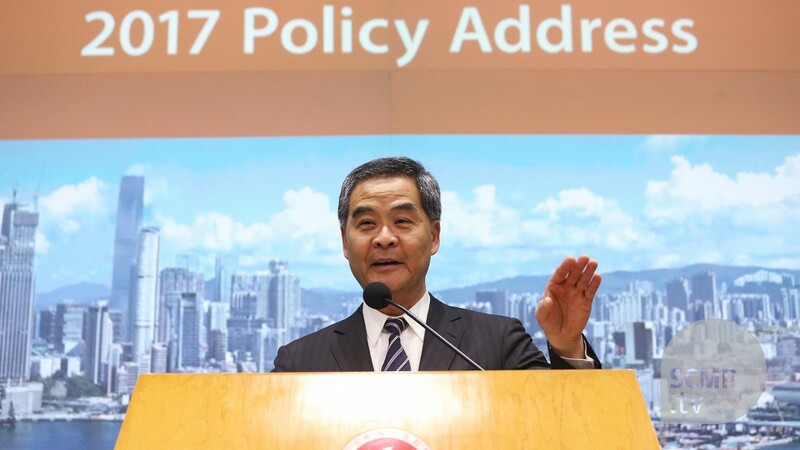 Hong Kong Chief Executive C Y Leung delivered his fifth Policy Address at the Legislative Council on January 18. The Policy Address outlines plans and initiatives to develop Hong Kong’s economy, improve people’s livelihood, boost land supply and housing, and enhance education. The Government would actively consider the recommendations on the sustainable development of Hong Kong’s financial market and financial services sector by the Financial Services Development Council (a high-level cross-sectoral advisory body established by the Government in 2013) concerning taxation, laws and regulations, nurturing talent, etc., and take forward the feasible measures. The Government will invite the Hong Kong Trade Development Council to strengthen overseas promotion of Hong Kong’s financial services industry. Mr Leung said Hong Kong would expand its network of offices in the Mainland and overseas to promote Hong Kong’s strengths and advantages, with preliminary work under way to set up five new Economic and Trade Offices in India, Mexico, Russia, South Africa and the United Arab Emirates. Four new Liaison Offices supporting the Hong Kong Special Administrative Region’s work in the Mainland would be set up by mid-year in Tianjin, Zhejiang, Guangxi and Shaanxi, bringing the total number of Liaison Offices to 11. To give full play to Hong Kong’s role as a “super-connector” for the Belt and Road Initiative, more staffing resources would be given to the Belt and Road Office, which was set up last year, to formulate and implement strategies on a long-term basis. Hong Kong and countries along the Belt and Road would consider relaxing visa requirements to facilitate movement and boost people-to-people bonds. Mr Leung said the Government had invested HK$18 billion to enhance Hong Kong’s I&T ecosystem and would consider support measures such as offering tax and financial concessions to attract I&T enterprises from Hong Kong, the Mainland and overseas. Local universities would be requested to carry out more impactful and translational research projects to meet Hong Kong’s needs, so as to tie in with the work promoting the development of industries and re-industrialisation. On housing supply, Mr Leung said based on land supply in the short and medium terms through changing land uses and increasing development intensity, over 380,000 residential units will be provided while in the medium and long terms new development areas and new town extensions as well as potential railway property development projects being planned can provide over 8.6 million square metres of industrial and commercial floor area as well as over 220,000 residential units. The first population intake is expected in 6 to 10 years. On education, amongst the measures announced is the initiative to provide a one-off subsidy to public sector secondary schools to promote science, technology, engineering and mathematics (STEM) education. Also included in the Policy Address is a raft of measures to help the elderly, enhance retirement protection and improve healthcare services. In concluding, Mr Leung highlighted that the Government will continue to implement “one country, two systems” strictly in accordance with the Basic Law, uphold Hong Kong’s core values, including human rights, liberty, democracy, the rule of law and integrity, and build a stable and harmonious society.